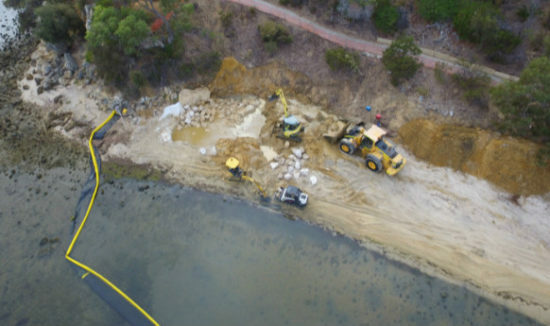 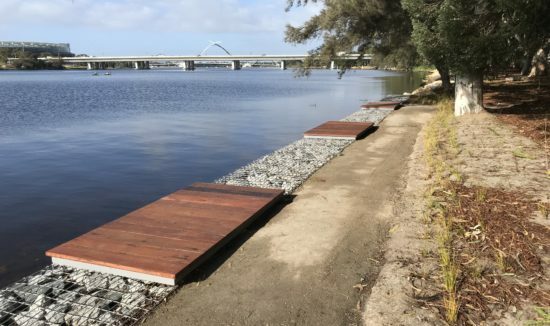 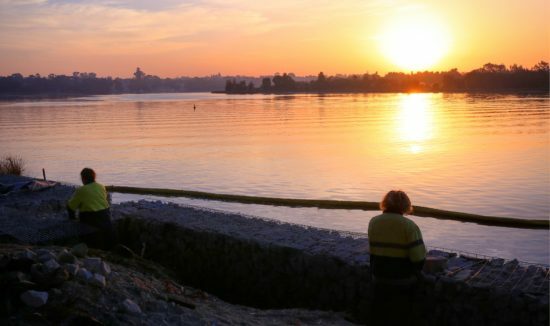 Erosion can be a serious issue throughout various landscapes and environments, threatening infrastructure and vegetation, particularly in coastal and riverine areas along the Swan and Canning Rivers. 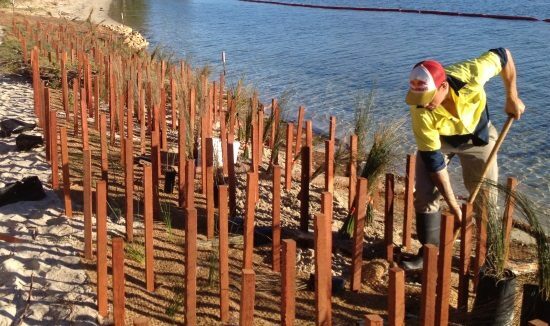 Every year, Natural Area are involved with various types of erosion control projects and are well placed to offer general advice on site or detailed site-specific plans, complete with detailed drawings and engineering certifications if required. 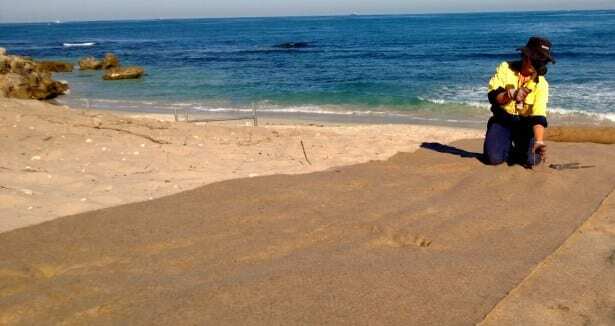 Coastal dune systems are constantly shifting as part of natural processes. 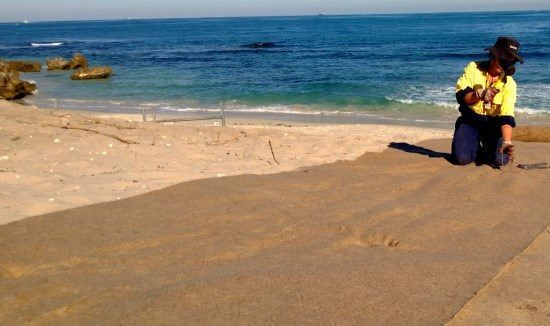 However excessive wind and foot traffic causes a loss of vegetation cover which can lead to major ‘blowouts’ in the systems and an inability for the dune to regenerate. 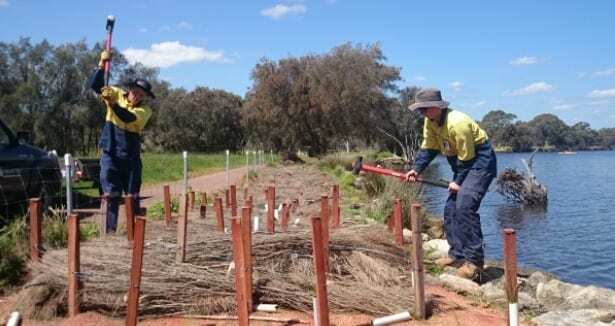 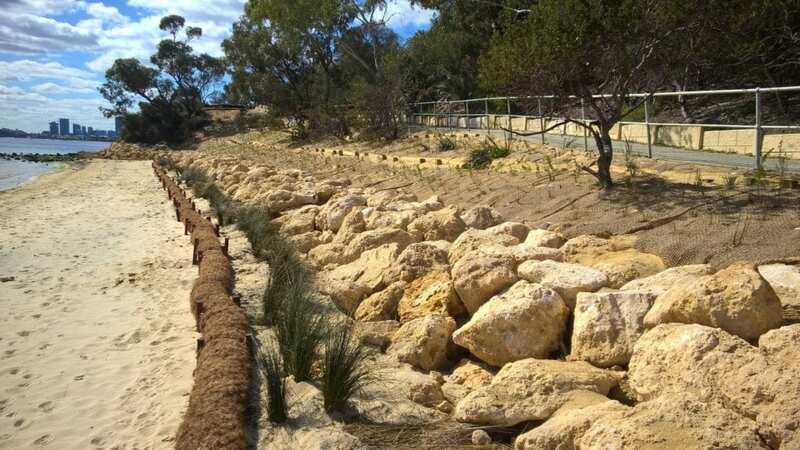 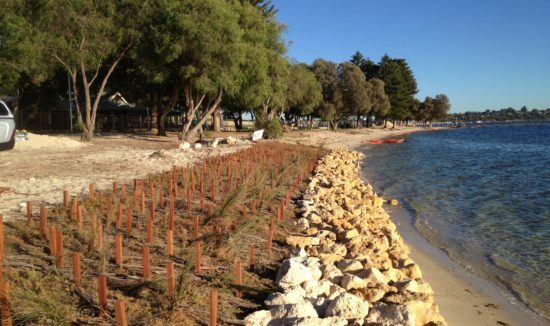 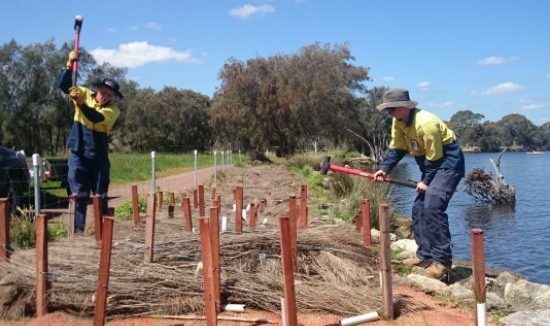 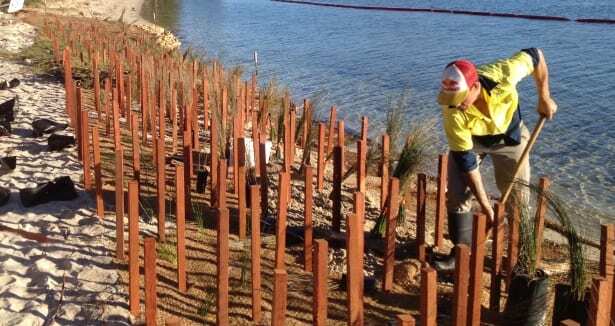 Natural Area have been involved in various coastal projects using sand-trap fencing, brushing, geotextile and revegetation to promote sand accretion and stabilise dune systems. 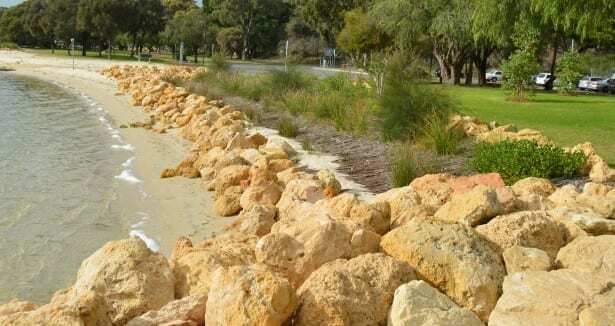 Erosion on embankments is common as the gradient of the site is usually steep. 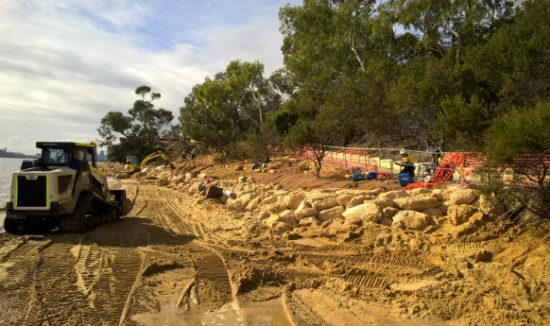 Steep sites present various safety risks which are always taken into consideration when specifying works and working on site. 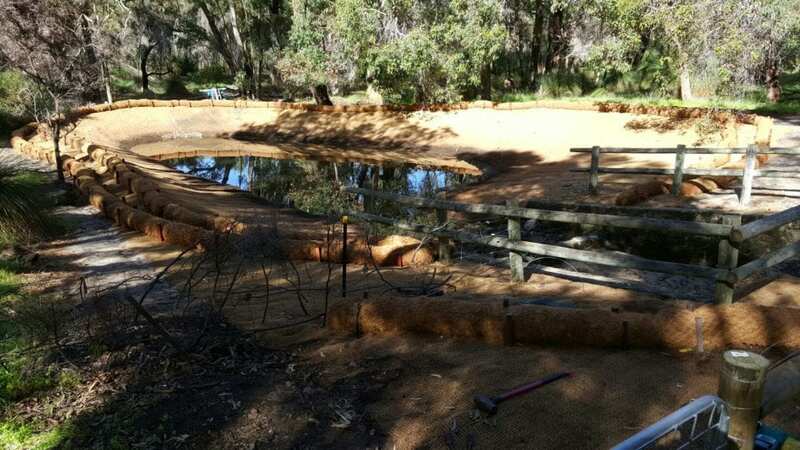 Erosion of soil in bushland areas often occurs along tracks and paths, especially where paths are not formalised. 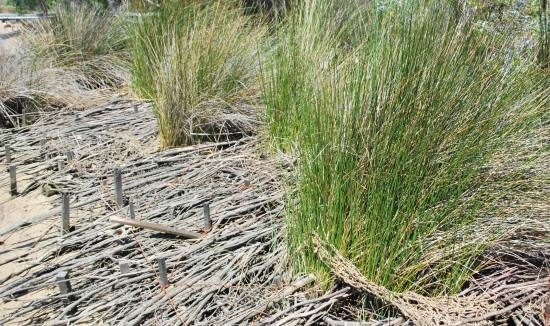 Simple bioengineering can remedy the issue. 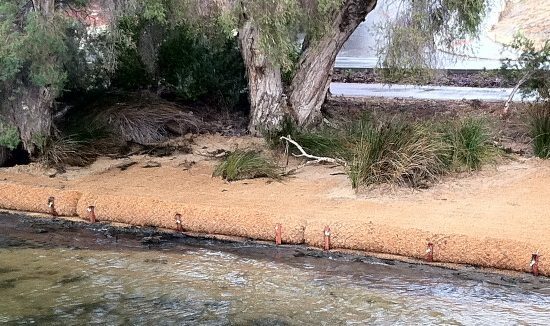 River channels, streams and drains are exposed to erosive water and wind action. 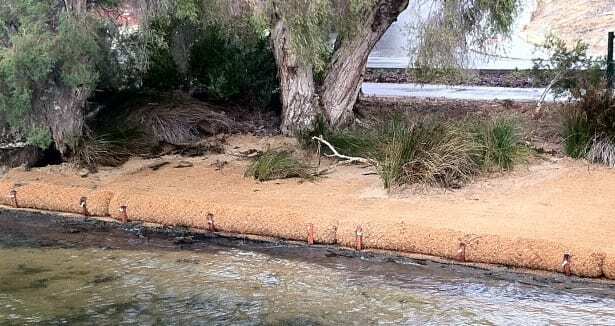 Along the river, some foreshore areas are prone to boat wakes which can severely erode the soil and vegetation leading to instability. 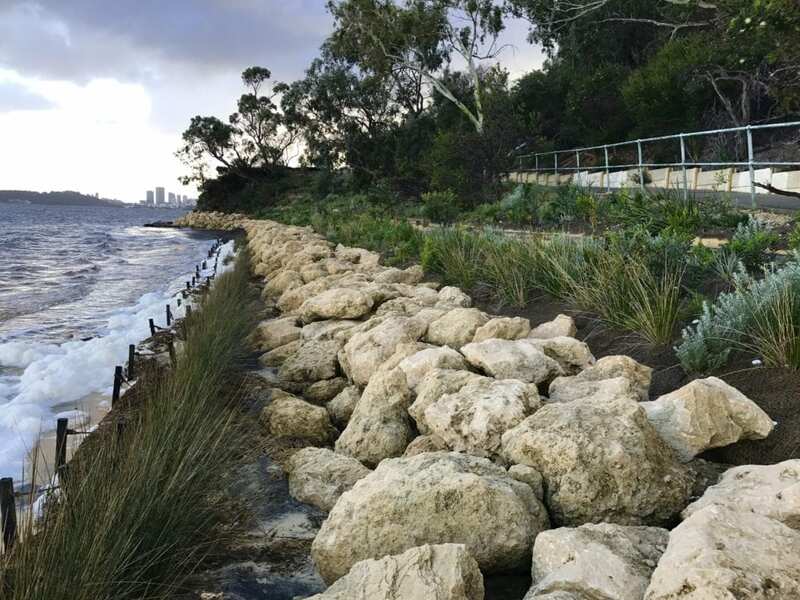 Natural Area can recommend the best course of action to take to mitigate the erosion and rebuild a natural shoreline. 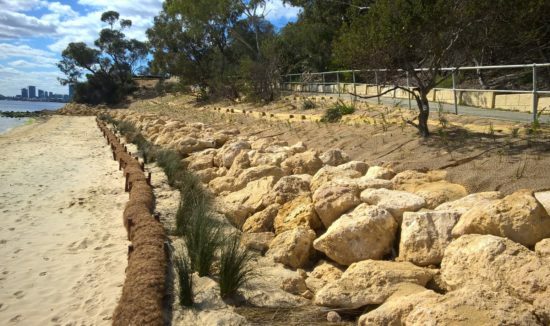 The type of erosion control required is always site specific and Natural Area can provide advice and guidance on which type is suitable for your site. 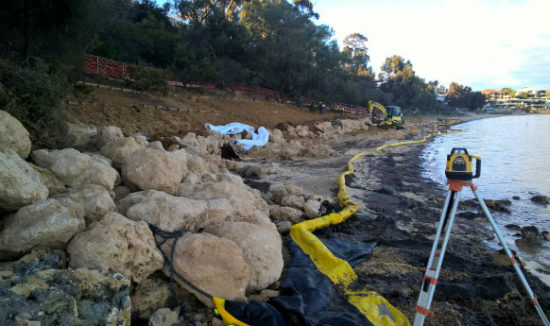 Determining factors will include the level of erosion, type of erosion, site location and constraints. 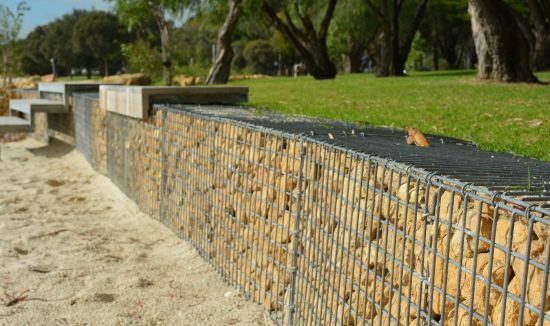 Gabion baskets and mattresses are manufactured from galvanised steel and are available in a variety of shapes and sizes, including varying wire thickness, wire type and aperture size. 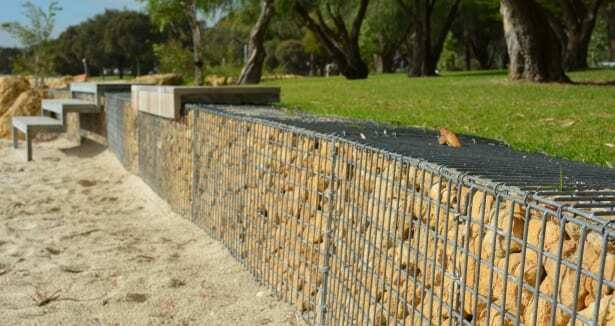 This means that gabion baskets can be custom built to suit any site. 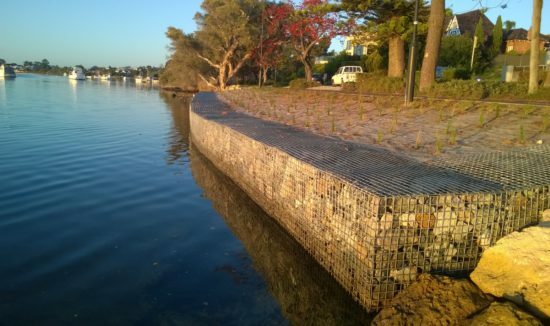 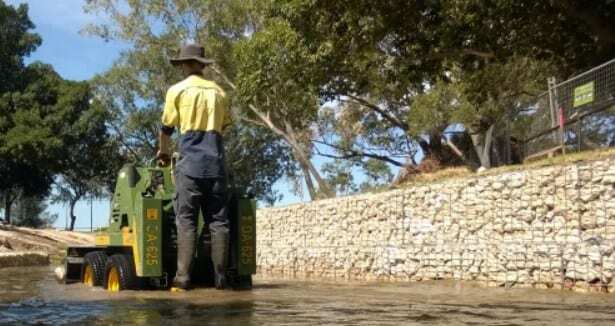 Gabion baskets are considered a hard-engineering approach to erosion control and are primarily used in foreshore areas, around storm water drains and along watercourses in similar situations to river walls. Natural Area can design, supply and install gabion baskets for a variety of purposes. 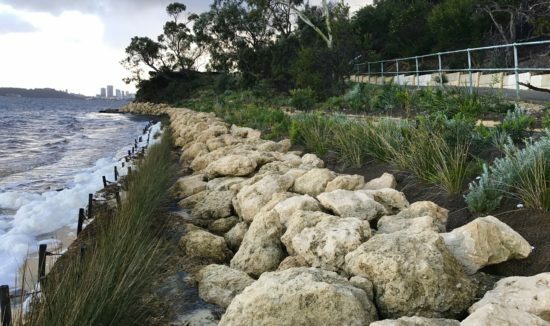 A bioengineering approach, proven to mitigate erosion when installed correctly. 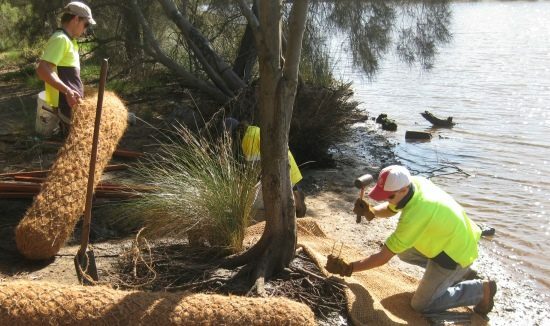 The technique is suited for use on low gradient sites where the aim is to mitigate bank erosion and re-establish riparian vegetation. 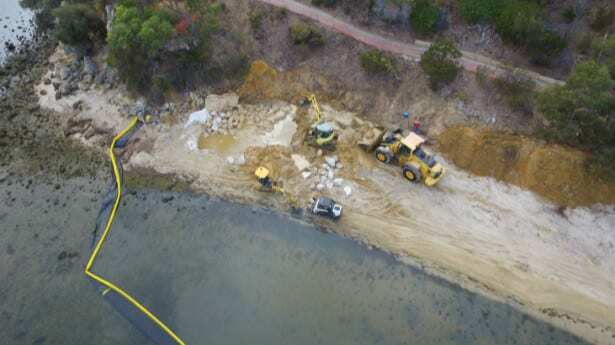 Natural Area has undertaken various erosion control projects using this technique and has developed efficiencies with the installation. 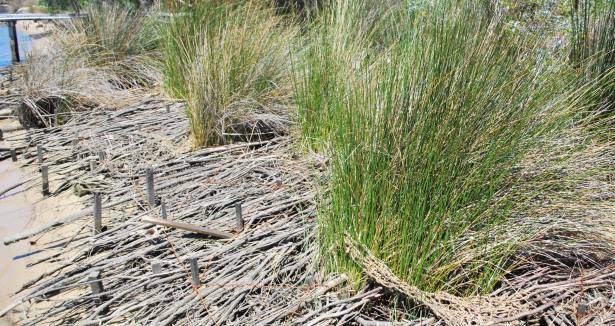 Coir logs are biodegradable ‘logs’ made from the same material as coir mesh. 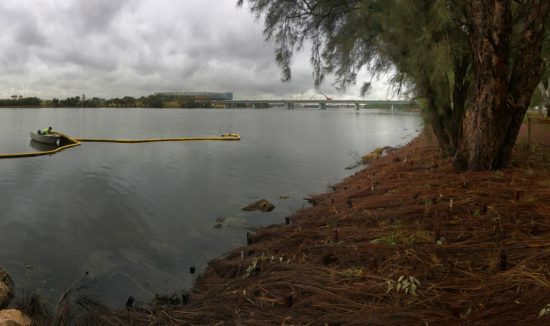 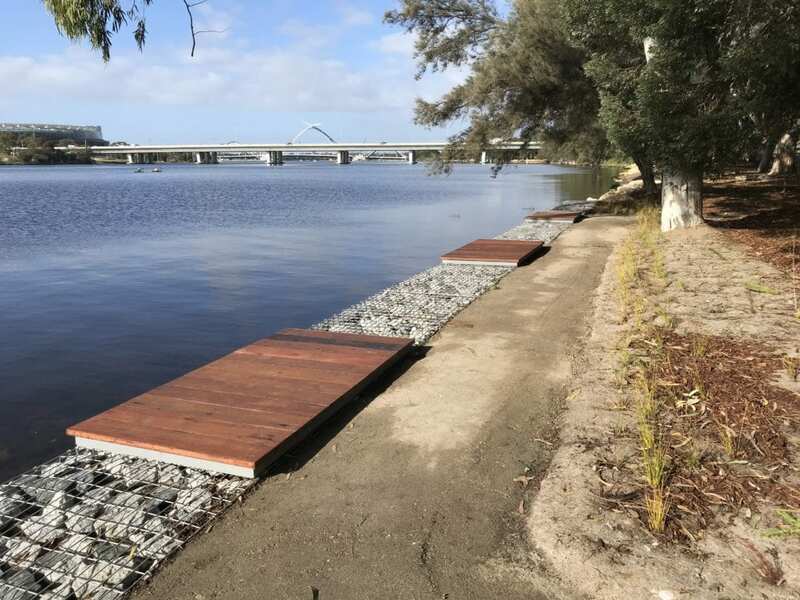 Coir logs provide a toe protection on slight to moderate slopes and offer protection to establishing vegetation from tidal and boat wash. Placement and method of securing are key factors that will affect the effectiveness and longevity of the logs. 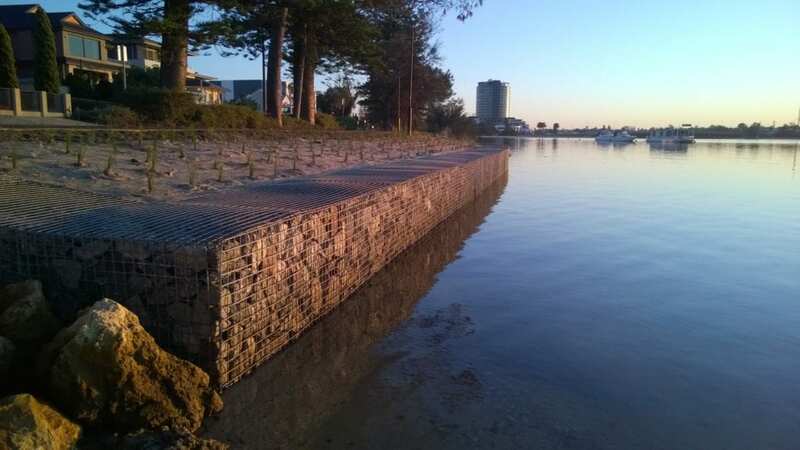 Erosion control matting is a broad term that includes various grades on synthetic materials (geotextile) as well as biodegradable products such as coir mesh and Jute Master®. 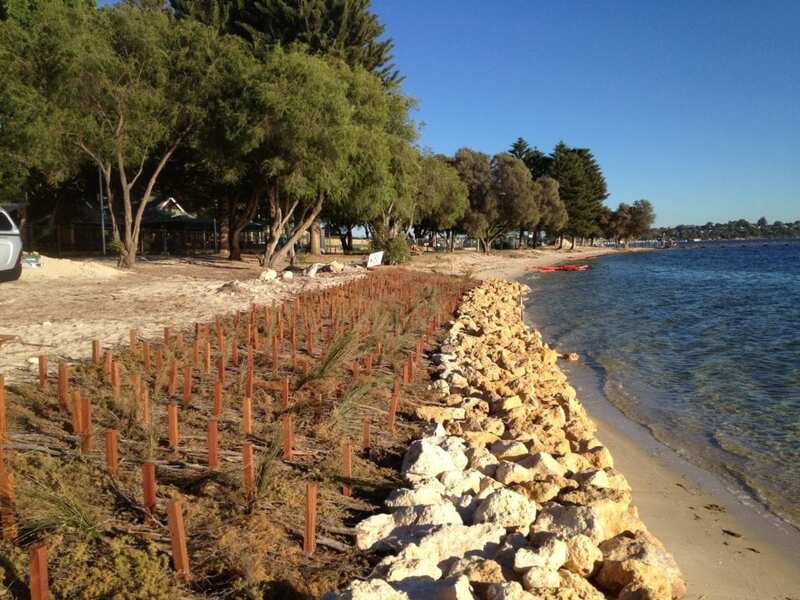 Suitable application areas include embankments, drains and coastal dunes. Considerations with erosion control matting include the type of securing and anchoring methodology used. 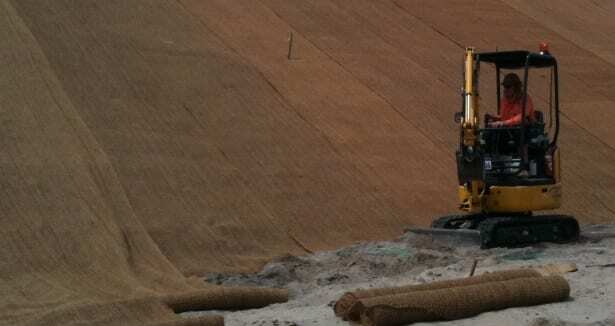 Natural Area can provide advice and full costings for all types of erosion control matting. 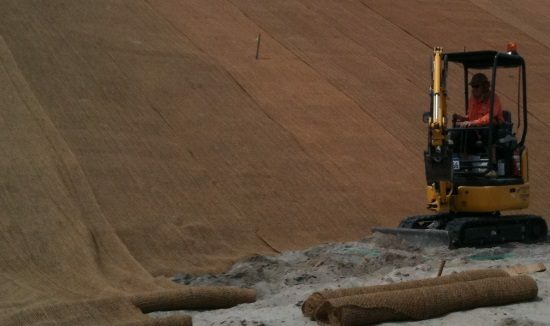 Limestone rock can be incorporated into other erosion control techniques or used as an independent solution on many sites. 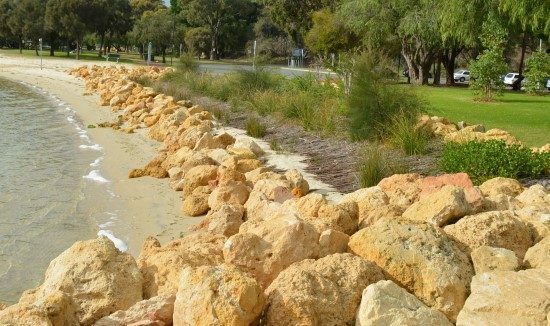 Typically, limestone rock is used to form a revetment on steep, highly eroded sites where the protection of the bank and prevention of loss of soil and trees is the primary objective. 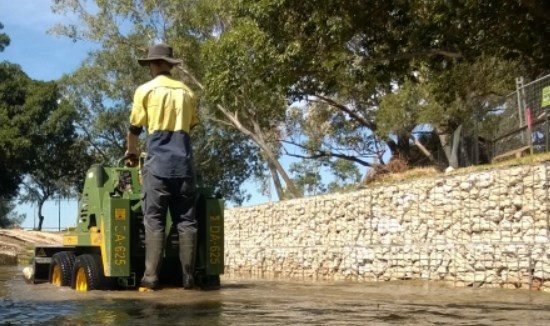 Limestone can also be used to create large groynes or small rock toes. 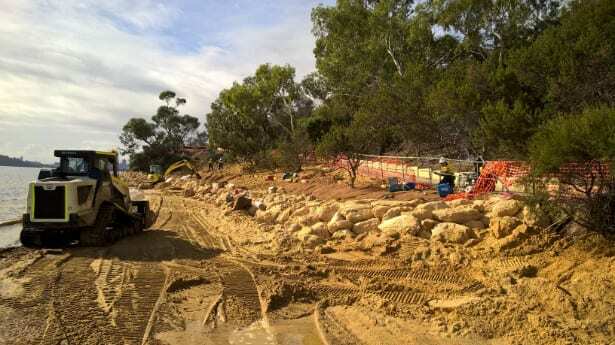 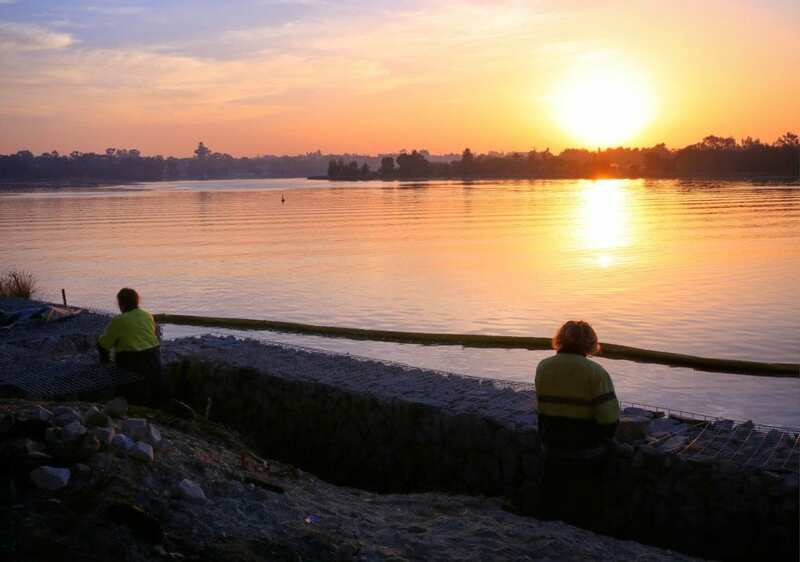 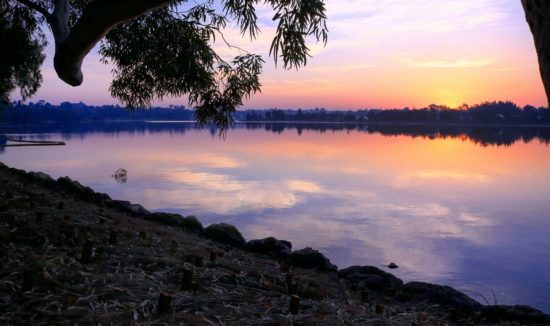 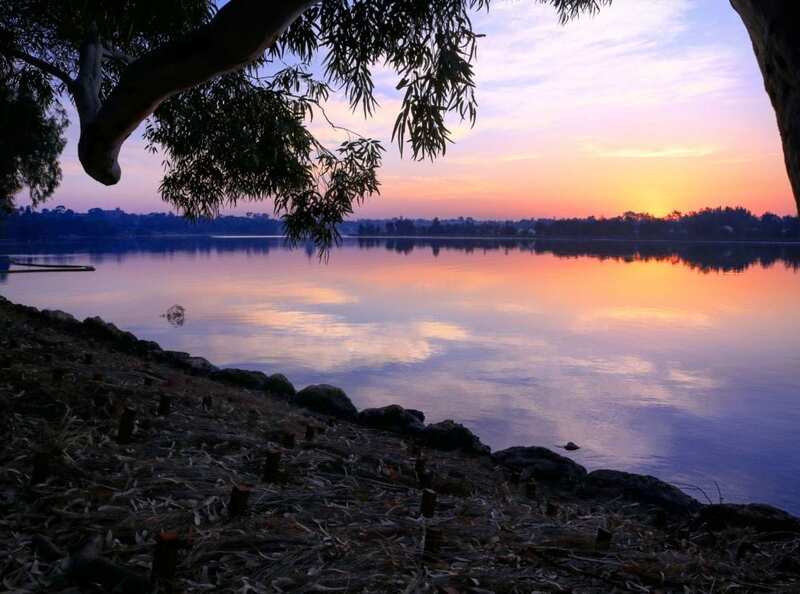 Natural Area have undertaken many projects along the Swan and Canning rivers using limestone rock and are familiar with the work permit requirements from governing bodies so projects are undertaken smoothly and according to schedule. 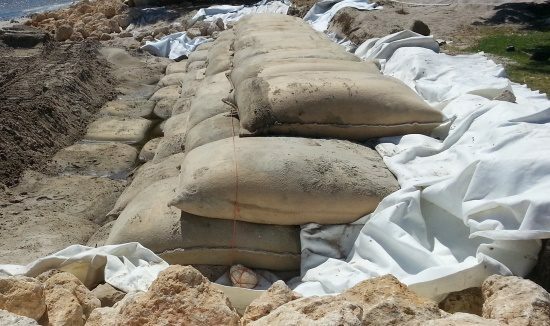 GSC’s are commonly referred to as ‘sand-bags’ and are generally larger and longer-lived than traditional hessian sand bags. 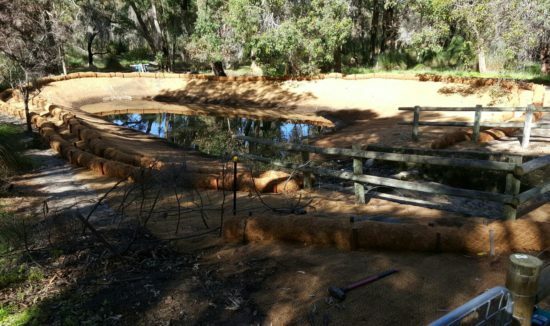 GSC’s can be custom made by Natural Area to suit any application. 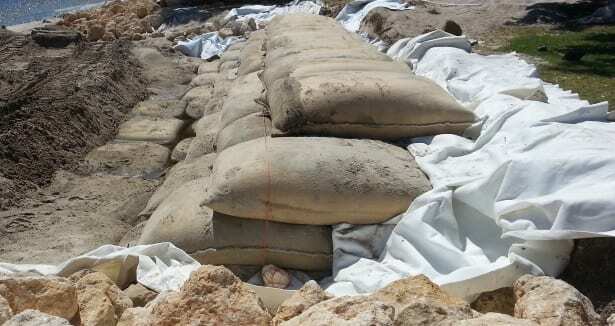 The bags are made from heavy grade geotextile and individually stitched. 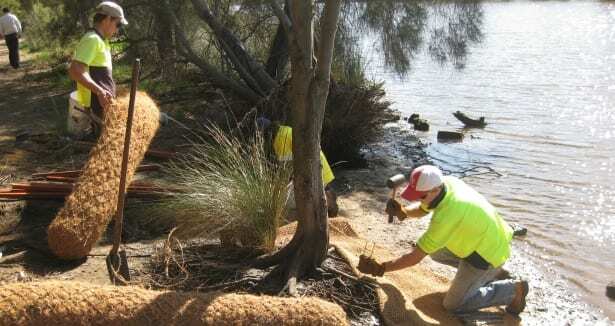 Bags are generally filled with sand, sealed on site and then manoeuvred into position using heavy machinery; smaller bags can be moved by hand.